Week four and I decided to go with Mary Berry’s “The very best shortbread” recipe. 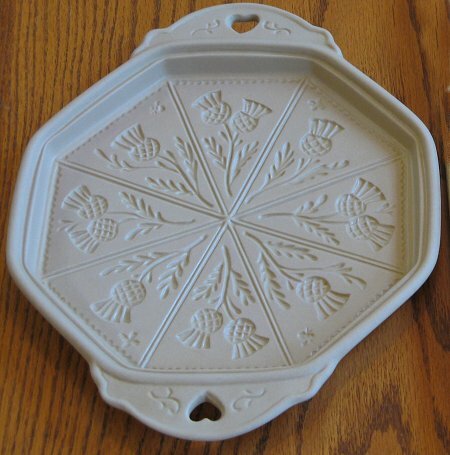 I already had a shortbread mould from Lakeland and thought that this would come in useful with this recipe. 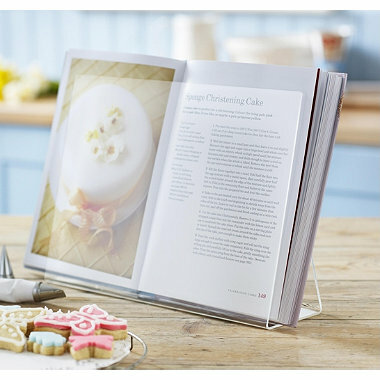 The other retail therapy item I treated myself to was the perspex cookbook stand from Lakeland which is fast becoming my second home. Each week I was struggling to find space on a work surface to cook, weigh, roll out etc while keeping the recipe book at hand and relatively clean. This solved this issue, I can clearly see my book now and it keeps it nice and clean. I followed Mary’s recipe for her very best shortbread and got out my Lakeland mould and followed the instructions on that to prepare the mould. I carefully pressed the dough into every nook and cranny of the mould and put it in my pre-warmed oven. I checked it after the time Mary recommended and decided to give it about another 10-15 minutes. Then I took the mould out of the oven and left it to cool completely. It then said to “turn it out onto a rack and dust with castor sugar“- it didn’t say “how do you get the stupid shortbread out of the mould in the first place?” ! I used a knife around the edges, I turned it onto the rack and tapped the back of it. It just wasn’t shifting! Eventually I resorted to chiseling it out and it still stuck! I decided to call it a day, go and get some more ingredients to make this again. I decided to make 2 batches, one in a tin as per Mary’s recipe and one giving the dratted mould another go. The mix went well for each batch. 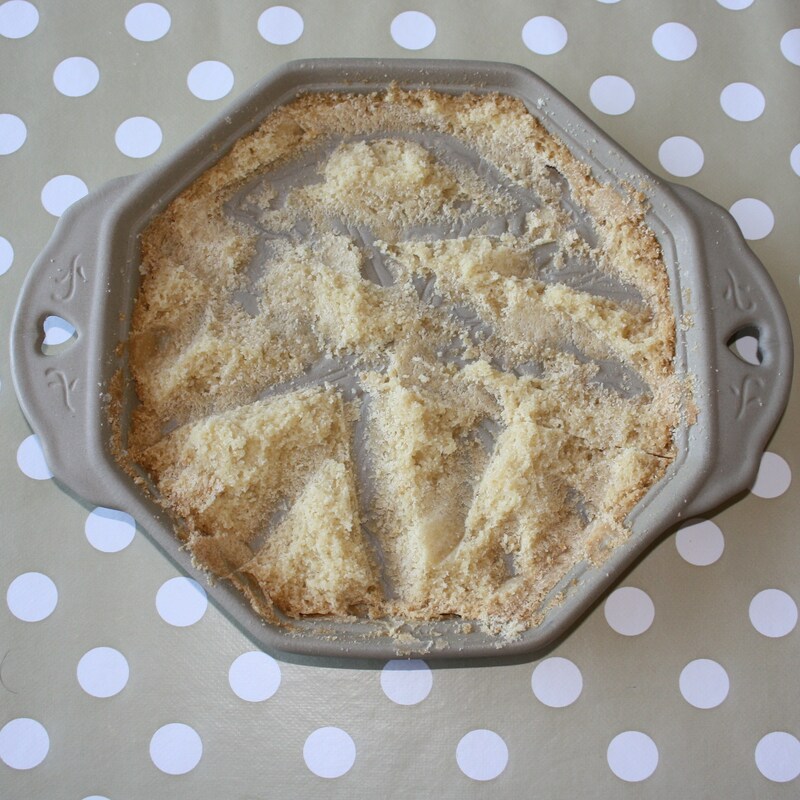 I pressed the shortbread into my tin and after oiling and then flouring the mould, I pressed the mix into the mould. I had taken on board the tips on the websites to turn the temperature down a little and cook it for longer and in the oven it went. 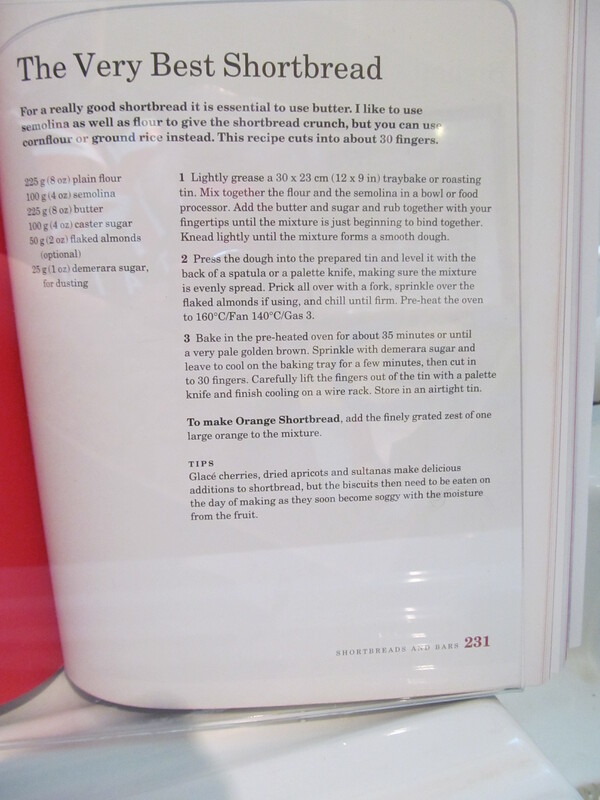 Lakeland recommended a lengthy bake, allowing to cook to the colour of toast. I set the time for 45 minutes, then after this had gone by, added another 15 minutes…..then another 15 minutes….and eventually decided that they were done. 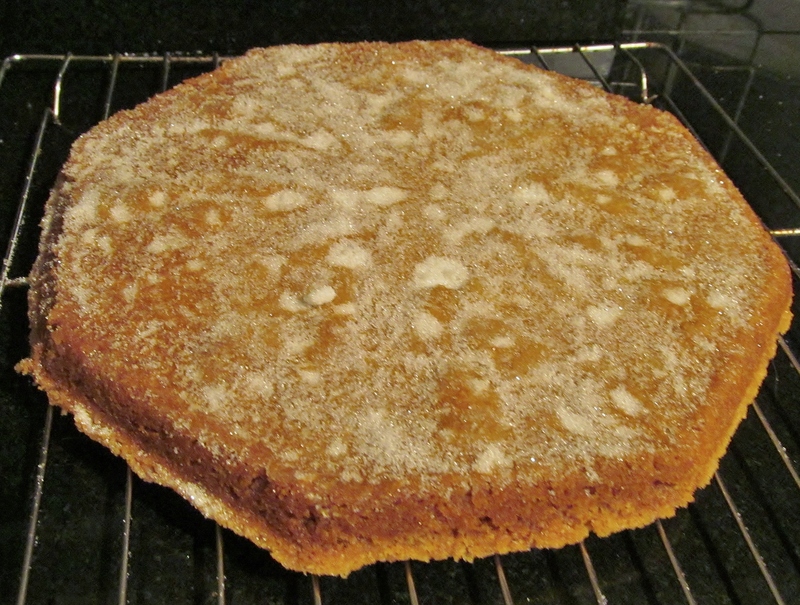 I turned the tin shortbread out fairly quickly, dusted it with castor sugar and cut it into fingers. The mould I left to cool. 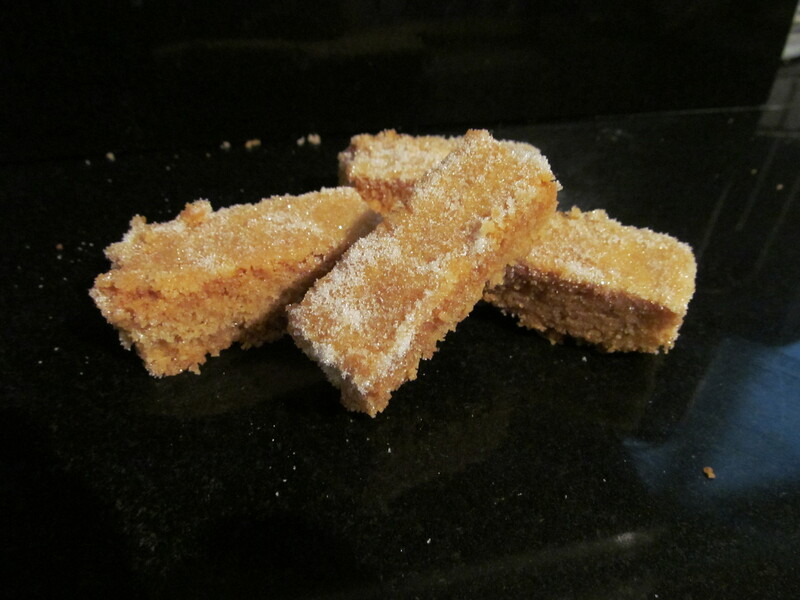 The shortbread fingers were golden in colour and the semolina in the recipe gave it a nice crunch. Now to the mould quickly becoming my nemesis. I went around the edge with a knife and tipped it onto a tray no movement yet. I tapped it gently all over. Still no movement. I used a small meat hammer to tap it smartly and hey presto, it released onto the rack. I was not impressed with the result, the thistle mould could barely be seen, despite carefully pressing it into the design. The colour was too golden and it was very crunchy! Oh well , I have achieved my goal and the tin of shortbread I was happy with the results so task done, but I am going to have to read more into the solutions to my mould it will not beat me!! This entry was posted in Kim's cake challenge and tagged bakes, Baking, cakes, cakesandcookies, ceramic, Kim's Cake Challenge, lakeland, Mary Berry, Recipe, Shortbread, shortbread mould by kimsideas. Bookmark the permalink.